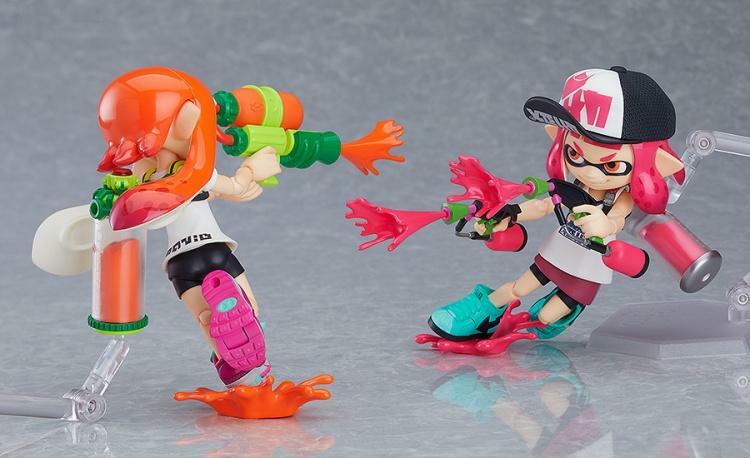 ■ The smooth yet posable figma joints allow you to act out a variety of different scenes. 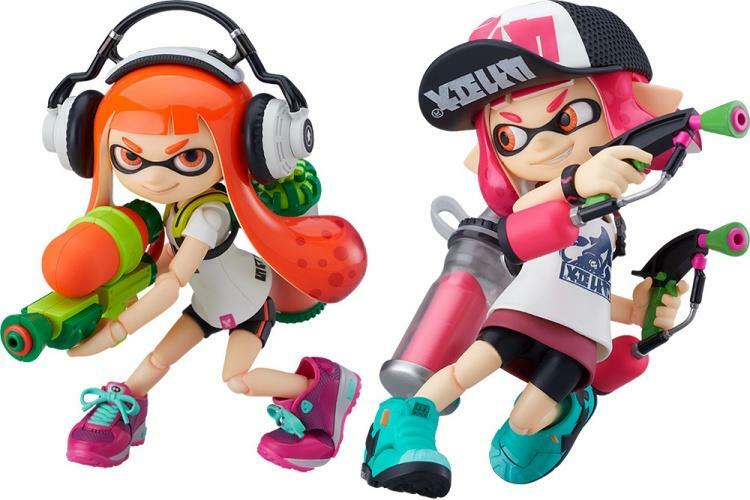 ■ Inkling Girl #1 has a smirking expression, while Inkling Girl #2 has a grinning expression. Both figmas are included with articulated eye parts allowing you to change the direction they are looking. ■ A smiling expression is also included, and can be used with either girl by replacing the eyebrows on the face plate. ■ Each girl comes with a squid figure matching their corresponding color pair in the games, ink splat effect parts, an ink splat special stand as well as an ink effect sheet, making for a tremendous amount of various included parts. 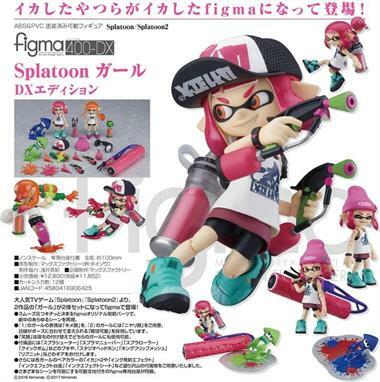 ■ An articulated figma stand is included, which allows various poses to be taken. 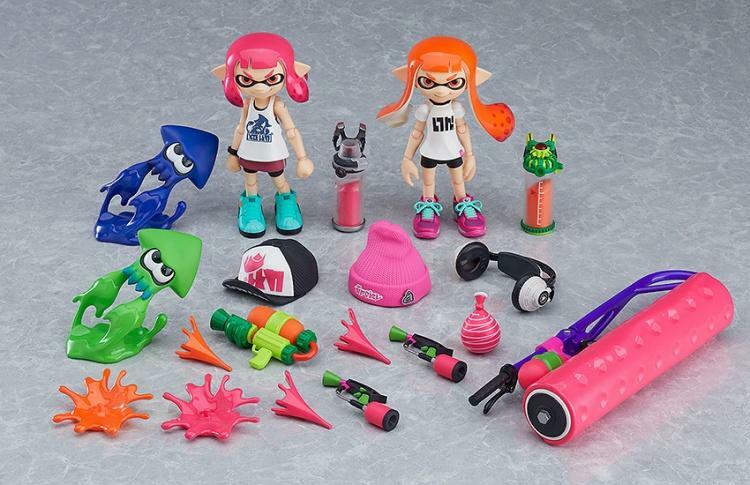 Originally released in January 2017 and sold out since last year, Bandai is re-releasing the first Splatoon Buki Collection of miniature game weapons.